iClould is a great way to backup information on your iPhone, and Apple offers it free to everyone. But you might be surprised how quickly your iCloud space can fill up. 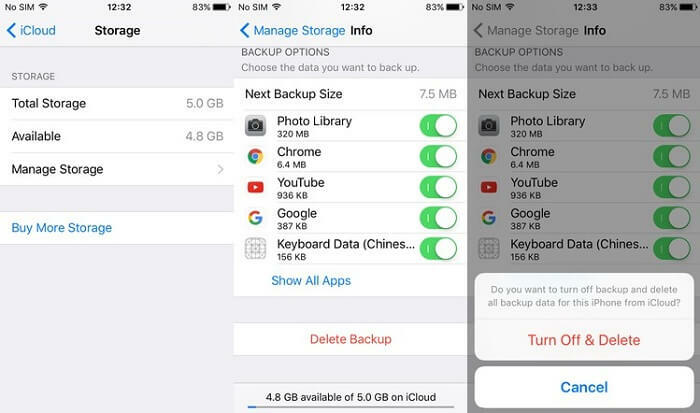 Keep iCloud backups of all your photos, videos, and text messages, and before you know it you will have no room left. And remember, your storage space is offered per Apple ID, not per device. This means that if you have more than one device saving to iCloud, your storage space will fill up even quicker. So today, we’re going to discuss on how to clear iCloud and free up some much needed space. Part 4: Will iCloud Storage Lead to Privacy Leak? Step 1: On your iPhone, go to your Settings option. Under the “Storage” heading you will see how much of your space you have used. If you want to learn how this space has been distributed, click on “Manage Storage”. Step 3:Swipe the one’s you don’t want to save into off mode. 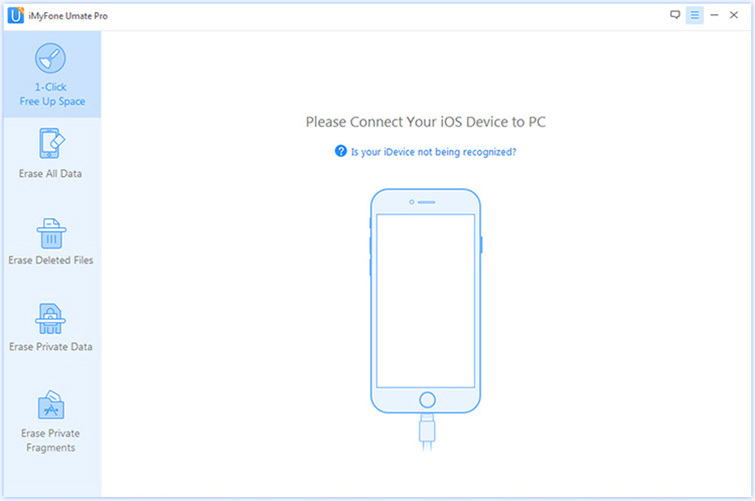 Step 2: Click on “iCloud”. 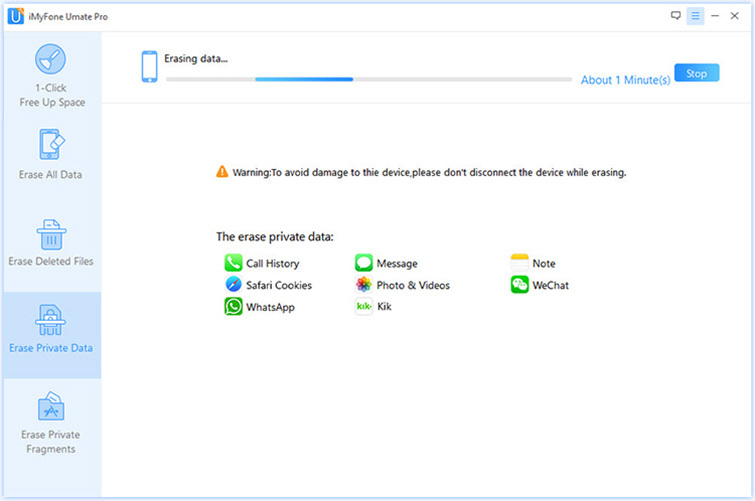 Step 4: Select the device you would like to erase data from. 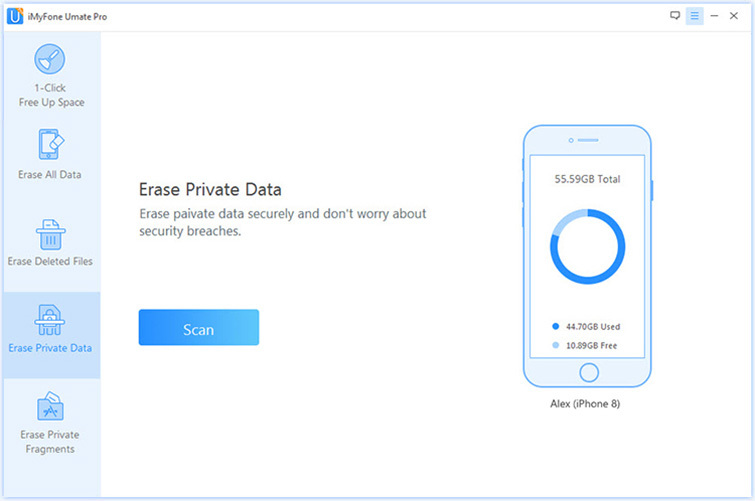 When you do this, all of the data and files associated with the selected apps will be removed from iCloud, freeing up a great deal of iCloud space. Does your iPhone always run out of storage? 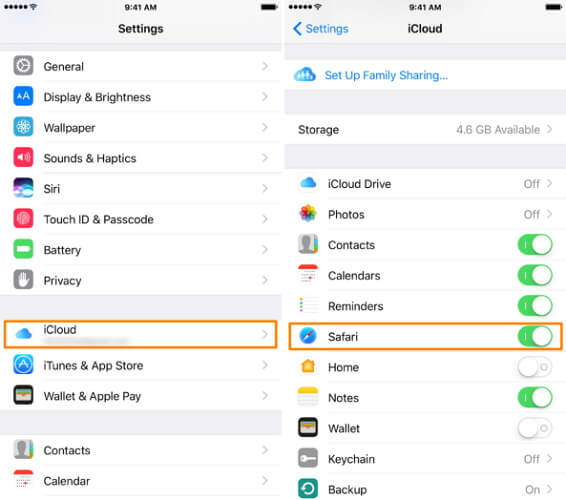 After knowing how to clear iCloud space, you may want to save your iPhone space. There’s a decent amount of space to grow into iPhone, but photos, music, and mysterious files can eat up all the space before you even know it. It may even run out of storage at some key moment. No one likes to be forced to delete apps or photos to get more space. So what can you do to free up more space? 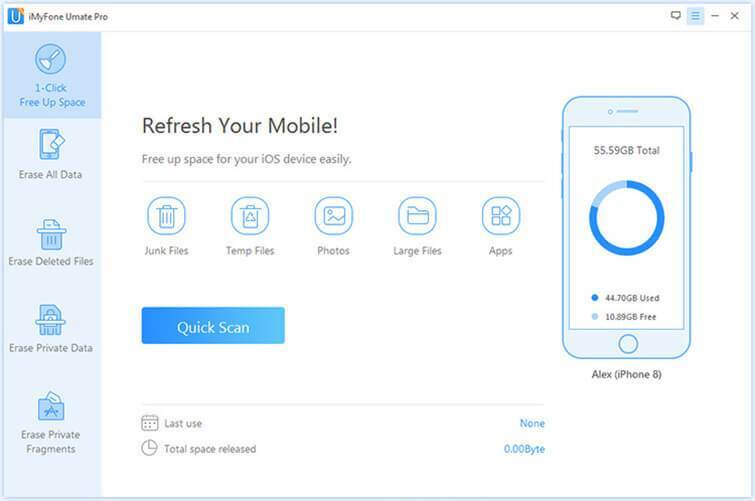 Don’t worry: here comes Free Clean Up Helper-iMyFone Umate Pro for Windows or iMyFone Umate Pro for Mac , the free function of clean junk files allows you to release space just with one click. With more than 25 analyzing technologies, it can scan and analyze data before you delete them. Part 4. Will iCloud Storage Lead to Privacy Leak? iCloud is part of the internet. And anytime you are part of the internet, you risk your private information being exposed. While iCloud is considered to be relatively secure, we’ve all heard about the horror stories where unflattering pictures get leaked all over the internet. Well, your data is no different. If your phone is connected to the internet, you always run the risk of personal or confidential information getting out to the public. For this reason, we suggest never storing any private, personal, or confidential information on iCloud. But even if it’s not on iCloud, it’s still at risk. Did you know that just because you have deleted something from your phone, doesn’t mean it’s actually gone? Anyone with a good piece of software or a little bit of technical information can easily retrieve all of your data and use it however they see fit. The solution? 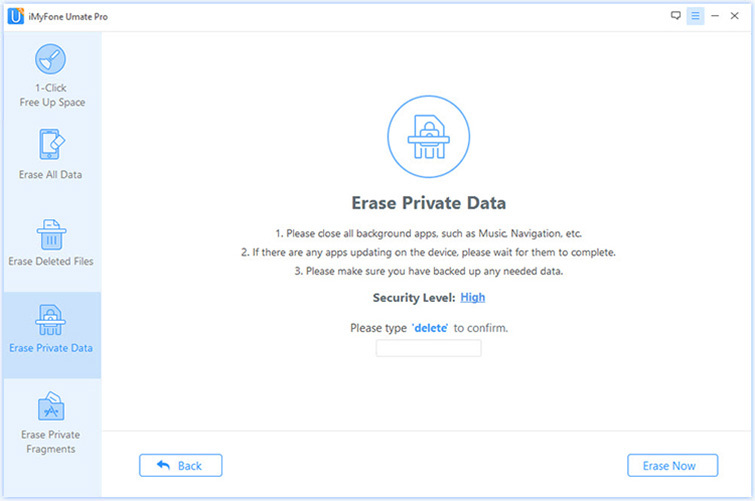 iMyFone Umate Pro for Windows or iMyFone Umate Pro for Mac can help to ensure that all private information is actually deleted, and deleted for good. help protect your personal data including messages, contacts, call history, photos & video, browsing data, etc. keep your private data safe when selling, recycling or donating your iPhone. Step 3: Once it has finished, all of your private data will be visible on the screen. Choose those you would like to permanently erase, and then click “Erase now”. 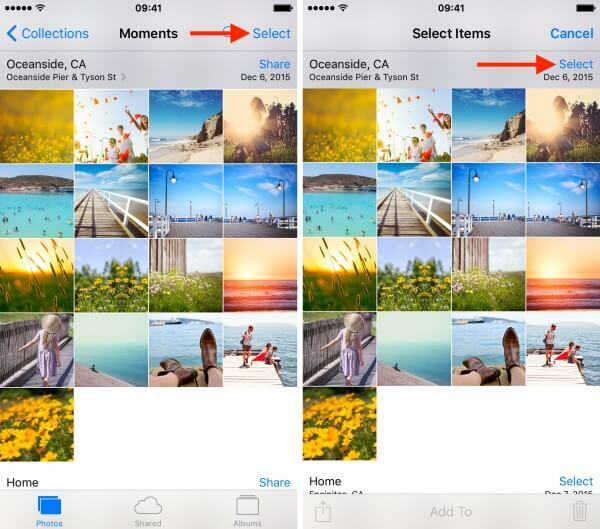 At this point, all of your selected files will be permanently erased from your iPhone. Always make sure that you don’t need access to them anymore, because once you use iMyFone Umate Pro to delete them, they will not be retrievable. In conclusion, after you clear iCloud space, you should always be aware of privacy concerns. 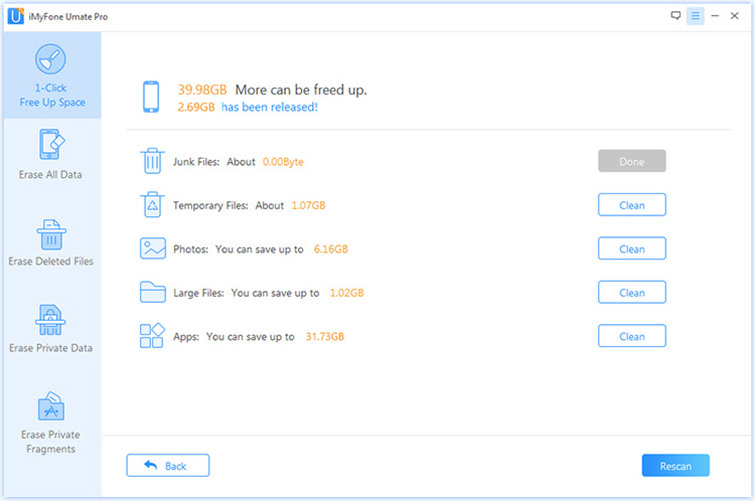 iClould is a great way to backup your photos and files, but you should never save anything personal or confidential in the Cloud. Once it’s there, it’s open to leaks. 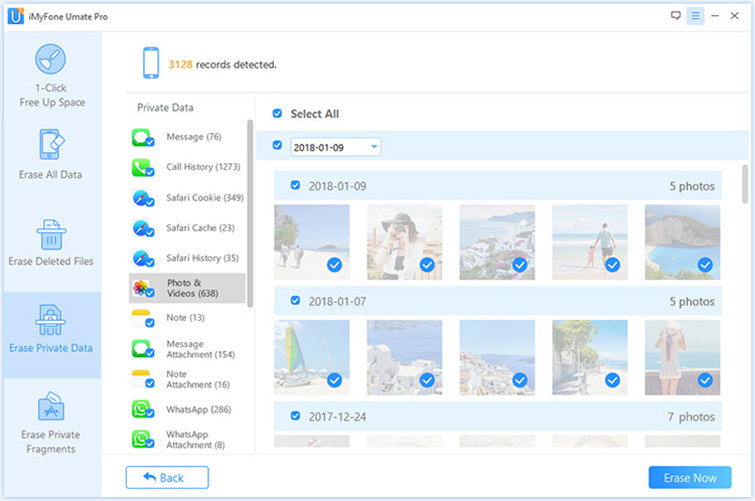 If you have personal or private information that you need to keep that way, you can permanently delete it from your iPhone using iMyFone Umate Pro. Keep your confidential information confidential, and give Umate Pro a try today!